It´s simple to disable Auto Updates in Windows-8 / 8.1, unlike on Windows 10, it is possible here! Likewise, you can open the Windows-8 Update (Image-1) via the "Control Panel"
See: ... open Control Panel in Windows-8 and 8.1! Please click in the Win 8 Control-Panel the icon (symbol) "Windows Update". Note: Windows Update might update itself automatically first when checking for other updates. ( Windows Update is free ). (Image-1) Auto Updates in Windows 8 and Win 8.1! With automatic updating, you don't have to search for updates online, or worry, that critical fixes for Windows might be missing from your PC. Windows Update automatically installs important updates as they become available. You can also set Windows Update to install recommended updates automatically or just let you know that they're available. Optional updates, which include updates for other Microsoft products, aren't installed automatically. Windows Update won't add any apps to your PC without asking for your permission, or will it take away anything you already have. (Image-2) Change Windows-8 and 8.1 Update settings! However, depending on how you're billed for your Internet connection, standard local and long distance phone charges, Internet service charges, metered data plan charges, or mobile data charges might apply for the time required to download an update. you should check for updates yourself at least once every week. We usually release important updates once a month. However, updates could be released at any time. Turn off automatic program updates in window 8.1? How to turn off updates on windows 8.1? Prevent personalization from computer to computer in Windows 8.1? How to disable automatic updates windows 8.1? Windows 8 disable automatic updates? How to disable windows update client windows 8.1? Windows 8.1 cosumes more internet data without permission? How to deactivate windows update windows 8.1? Remove updates in windows 8 and 8.1? Turn off window update win 8.1? How to off auto update windows in windows 8 and 8.1? How to stop windows 8 and 8.1 from updating? Set windows 2012 update settings to automatic? Disable automatic updates of apps windows 8? Windows 8tablet does not let change automatic updates? How to stop apps updates in windows 8.1? How to disable program updates on windows 8.1? Stop windows from bringing up windows 8.1 update? How do i turn auto update OFF in win 8.1? How to turn off automatic updates in windows 8 and 8.1? How to stop windows 8 update? How to turn of windows 8 and 8.1 updates? How to stop automatic updates in windows 8.1? Turn automatic updated off in windows 8.1? How to turn off windows 8.1 auto update? How to turn off updates on windows 8.1 computer? Disable automatically update from windows 8 to windows 8.1? Windows 8.1 pro stop automatic updates? How to turn off automatically windows 8 and 8.1 update? Cara inactive windows update di windows 8.1? How to disable automatic update of apps in windows 8.1? How to stop automatic update of software in windows 8 and 8.1? How to turn off updats on winods 8.1? How to turn off window update in window8.1? How to turn windows updates off windows 8 and 8.1? How to enable automatic updates in windows 8.1? How to turnoff windows autoupdate in windows8.1? Windows 8.1 won't let me select personalize? Can I stop updates on windows 8.1? Hows to turn off automatic windows updates for window 8.1? How to stop windows 8 update, windows 8 won't download updates? How to stop windows 8 from installing update already downloaded? Windows update keep on asking for updates in win 8? How to turn auto windows update off in windows 8.1? 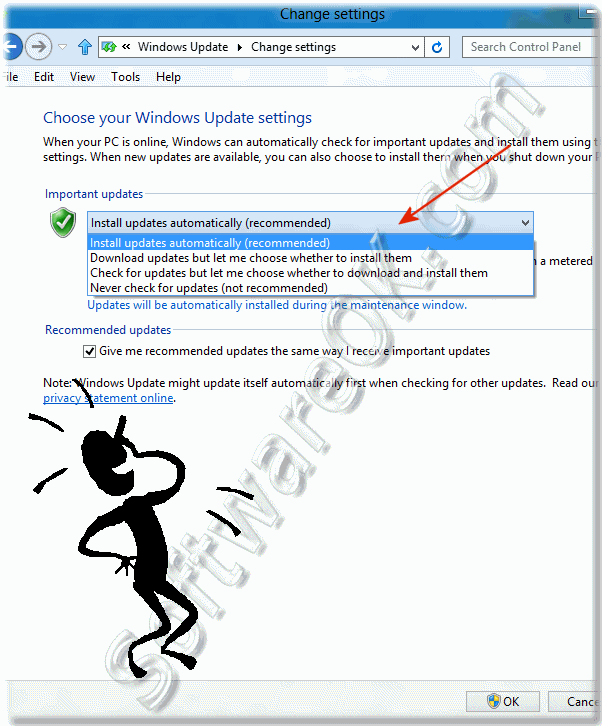 How to disable driver auto update in windows 8.1? How to enable never check for updates in win 8.1? Windows 8 and 8.1 automatically turns on when opened? How to disable automatic app updates on windows 8.1? How to off automatic updates of applications in windows 8.1? Will my computer automaticly update to windows 8.1 when its released? How to disable updates in windows 8? How to stop updates in windows 8 64 bit? How do i scan for updates in windows 8.1? How to turn off auto update in windows 8.1? Windows 8 how to disable automatic updates of apps? Need administrator permission to stop installing update windows 8? How to turn off updates windows 8.1 computer? Win 8 and 8.1 internet download disable? Can I stop the prompt for the free update for win 8.1? How to turnoff updats on wiondos 8.1? Can't change automatic update settings windows 8.1? How to stop automatic updates in win 8.1 enterprise? Menonaktifkan auto repair windows 8.1? Disable windows 8 and 8.1 updates? Disable automatic driver installin windows 8.1? Unable to disable windows auto update in windows 8.1? Disable updates in windows 8 and 8.1? Windows 8.1 updates turn off? How to stop every other connection and update in windows 8.1? How to deactivate windows 8.1 update? How to off automatic updates in windows 8, automatic updates in windows8.1? Turn off system updates win 8.1? Automatic updates some settings are managed by your system administrator windows 8.1 home? How to disable the Auto upload on WIndows 8.1? How do I stop windows 8.1 form stopping my computer for downloads? Turn off updates windows 8.1? How to turn off update windows 8.1? How to disable logo certification for windows 8.1? Stop windows 8.1 app update? Windows 8.1 don't install store updates automatically? Disattivare windows update windows 8.1? How to turn off windows 8.1 update? How to disable windows 8 update, uncheck automatic system updates in windows 8 and 8.1? How to look for automatic updates in windows 8.1? How to off windows 8.1 update? Can I stop windows 8.1 updates? How to prevent updates happen to windows 8 enterprise? Windows update windows 8.1 running for hours? How to turn off windows 8.1 update, windows 8 and 8.1 turn off automatic updates? How to prevent update of apps in win 8.1? How can i disable hidden update on windows 8.1? Windows 8.1 disable auto key check? How todeactivate metred update on my win8.1? Microsoft 8.1, was downloading free games, how do stop download? How to stop automatic updates on windows 8.1? How to stop windows update in windows 8 and 8.1? Turn off automatic windows update windows 8.1? Disable windows 8 and 8.1 update? How to disable software updates on windows 8? How to disable automatic updates in windows 8 and 8.1 metro desktop? How to stop updateing of news app in windows8.1? How to get rid of automatic update windows 8.1? Cara stop setting windows update di win 8.1? How to syop windows 8.1 from automatically accessing internet? How to switch automatic updates in windows 8 and 8.1? How update off all softwsre in windows 8.1? How can i tun off online applications that are running in my window 8.1? Switching off windows updates win 8, how to stop automatically update windows8.1? Reg add server 2008 change choose whether to install them -r2? How do you find a program and prevent it from updating windows 8.1? How to disable all updates of windows 8 and 8.1? How to stop windows 8.2 update on startup? 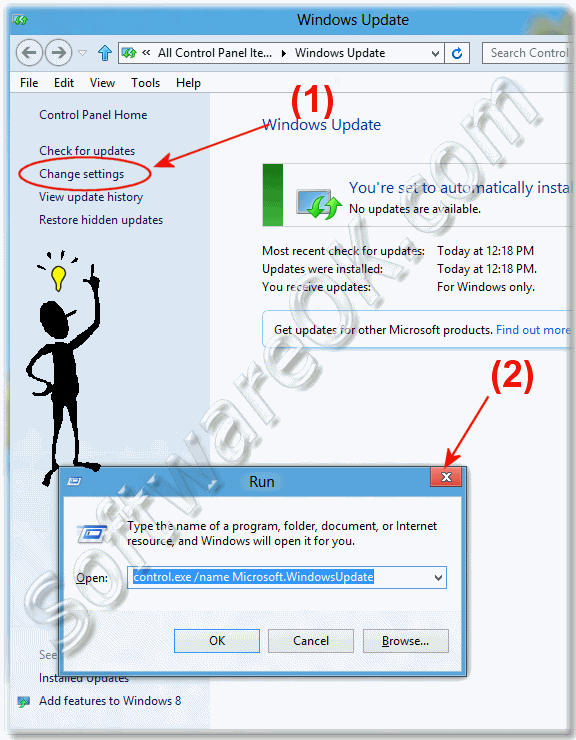 How to stop auto update option in windows 8, windows 8 and 8.1 update settings? How to turn off windows 8 updates? How to turn off windows update wn 8.1? Windows 8.1 stop apps updating? How to disable programs using internet data windows 8.1? Prevent update win8, why won't windows 8 and 8.1 let me personalize? Windows 8 download updates but ask permission? Windows 8.1 show down automatic? How do you how do i know if windows 8.1 is updating? Disable non activated windows 8 and 8.1 from restarting every 1 or 2 hours? How to stop window 8 and 8.1 from updating, disable updates in windows 8 and 8.1? What can i do to prevent instant updates windows 8 and 8.1? Windows 8 and 8.1 deactivating update=1, How to turn off automatic updates on windows 8.1? How do i turn off automatic windows update in windows 8.1? How to off windows 8.1 all updates? Can I stop windows apps from requesting updates? Windows 8 update turn off?